One of the endodontic treatments we provide to our Utah County area patients is restoring cracked teeth. If your tooth is experiencing erratic pain when chewing or pain with exposure to extreme hot or extreme cold, you may have a cracked tooth. The best way to know for sure is to visit Dr. Jon Jenson so he can better assess your tooth and the best course of care for relieving your tooth pain. Beneath the enamel outer layer of your tooth is another hard layer called dentin and then an interior soft tissue called pulp. Pulp is where your tooth’s nerves and blood vessels reside. If you have pain when you chew, it could be a result of the pieces of the cracked tooth moving and irritating the pulp. It’s important to have this issue seen as soon as possible because if you wait to long the pulp will be permanently damaged and will be unable to heal itself. 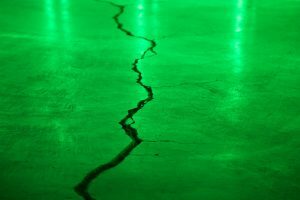 Extensive cracks can lead to an infection in the pulp that will need to be addressed by your endodontist. Treatment of your cracked tooth will depend on the type and size of the crack. If the crack has extended into your pulp, a root canal can be the treatment you need to keep the crack from spreading. If the crack has reached below the gumline, the tooth will need to be extracted. This is why time is of the essence when dealing with tooth pain and cracks in your teeth. The sooner it’s caught, the higher the likelihood is that the natural tooth can be saved. Dr. Jon Jenson will be able to examine your tooth and let you know the best course of action for your specific tooth crack. Don’t put off a visit that could potentially save your tooth! Call us today at: 801-404-5810.